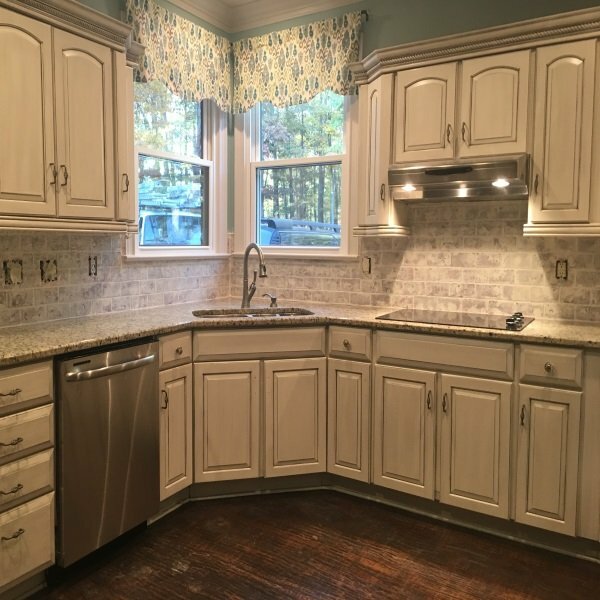 If your looking for Kitchen / Bathroom cabinet painting, furniture painting, custom cabinet and carpentry you have come to the right place. 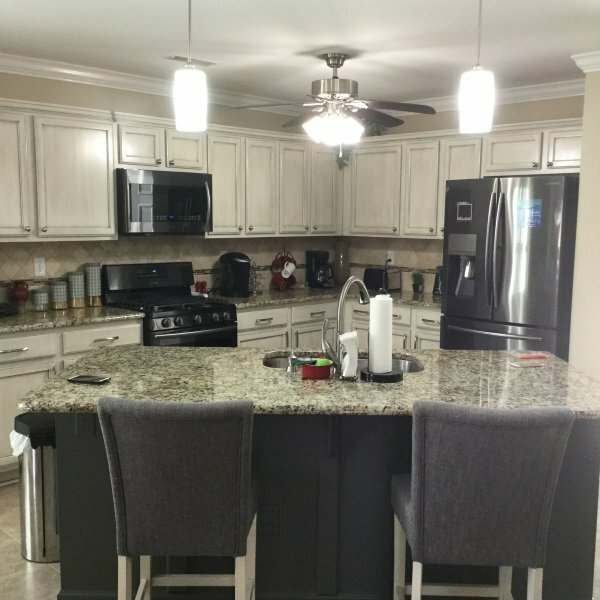 If you live in the Charlotte NC area give us a call and schedule your free consult today. 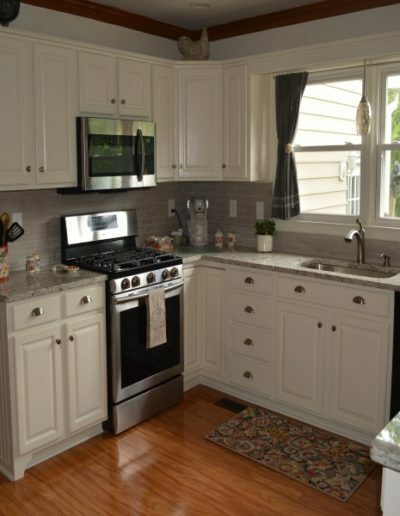 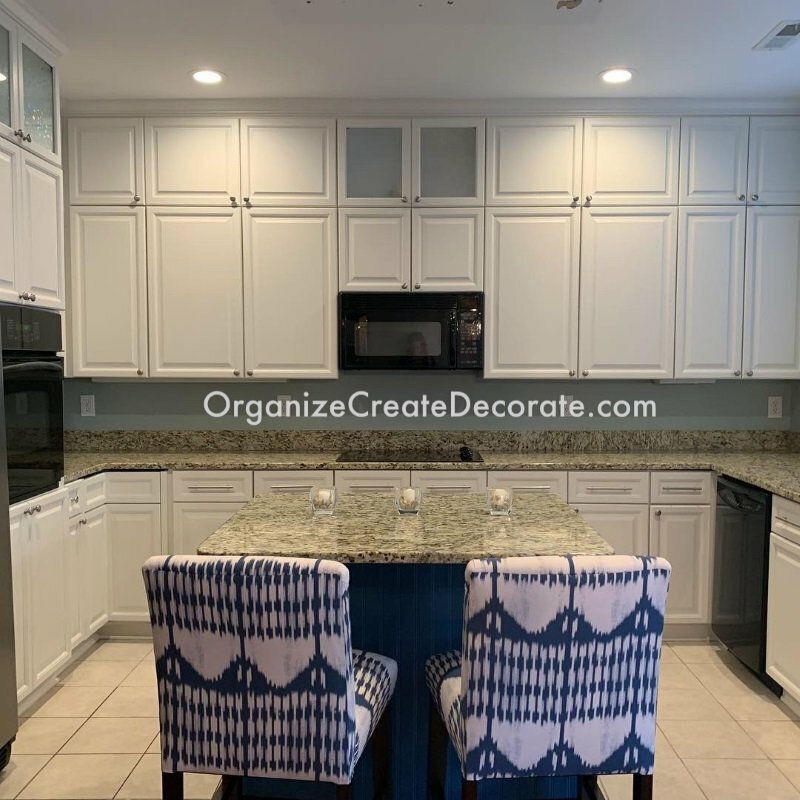 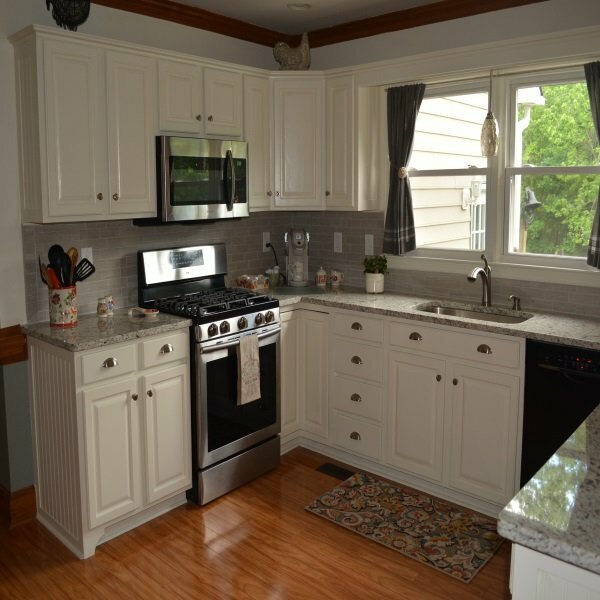 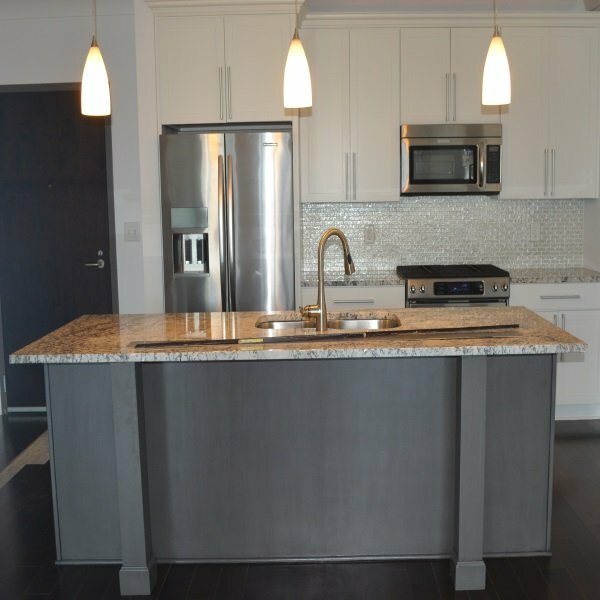 Don’t forget to check out the rest of the site and see some of the transformations we have been a part of like this kitchen of Park Road where we extended the cabinets to the ceiling and added a wine cubby and shelf to the island. 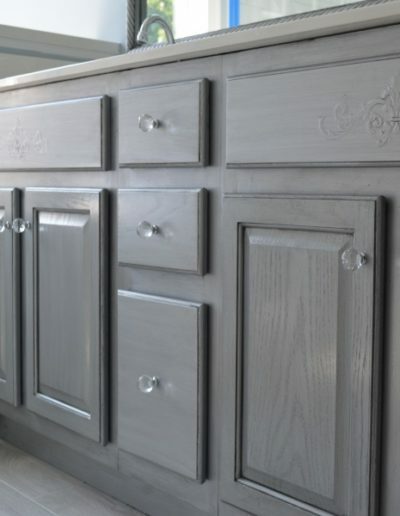 Let us transform your existing cabinetry (kitchen, bath, laundry, built ins, bookshelves) into something beautiful. 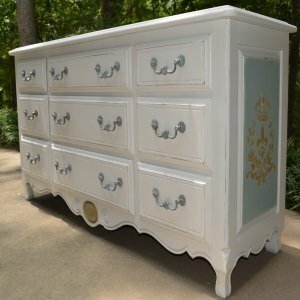 Fall in love with your furniture. 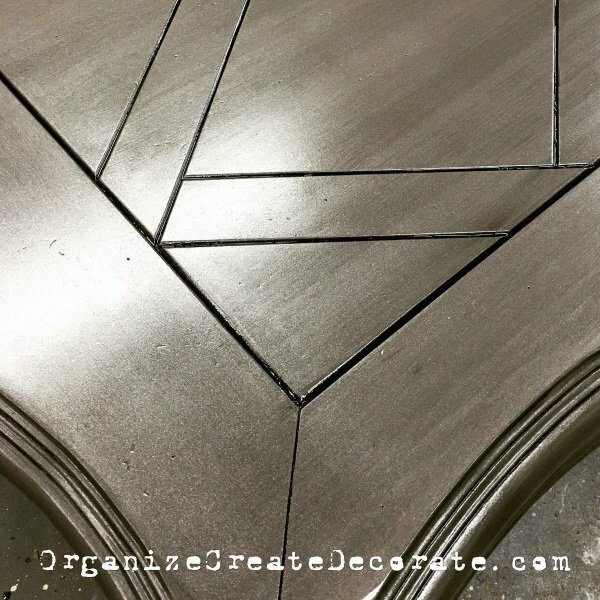 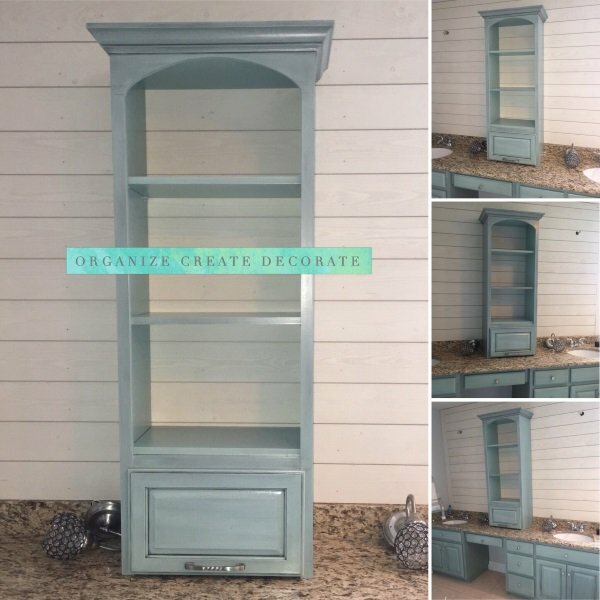 OCD can perform a number of custom carpentry add ons to your kitchen or bathroom from molding to custom built shelves. 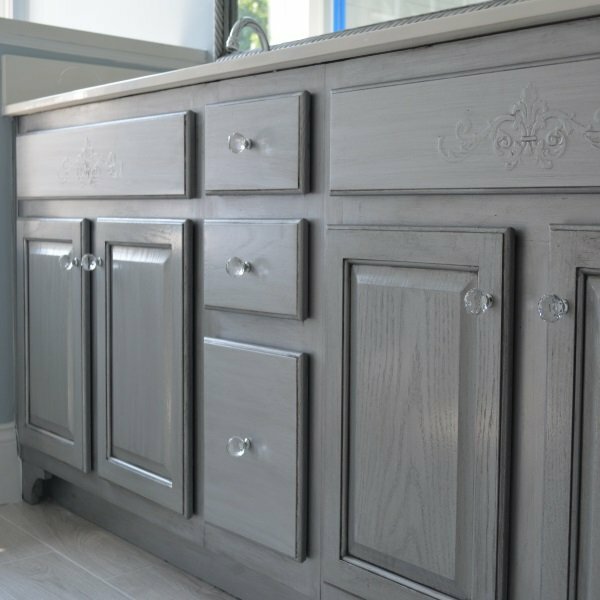 From Color choices to finding the elements to fit with your new kitchen or bathroom we have the know how. 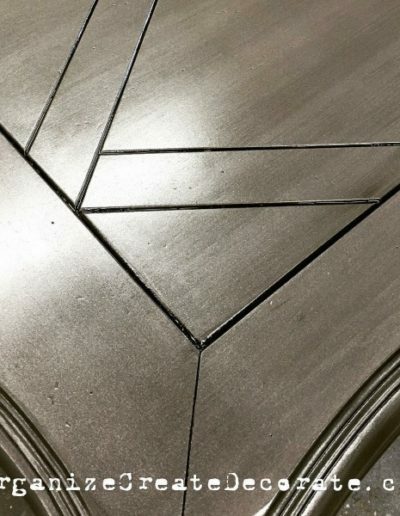 Don't Wait another moment to get the look you want. 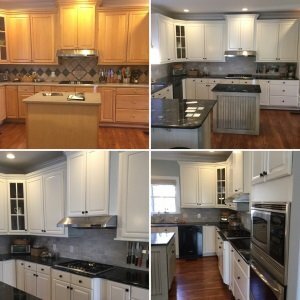 Here is some of our work! 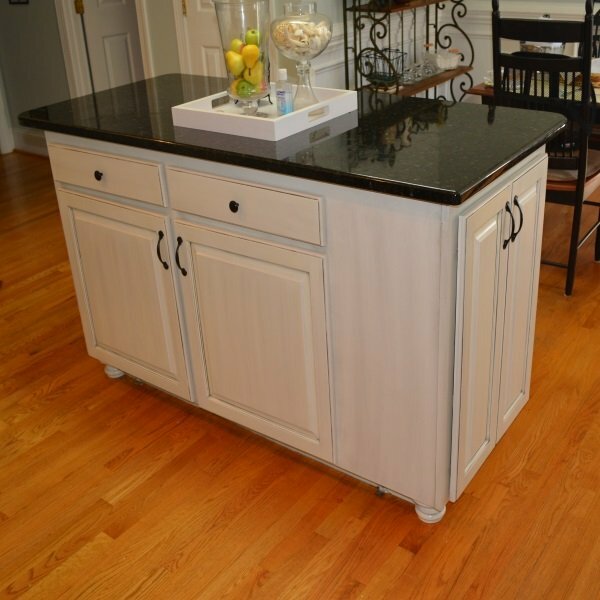 Dark island and paneled ends. 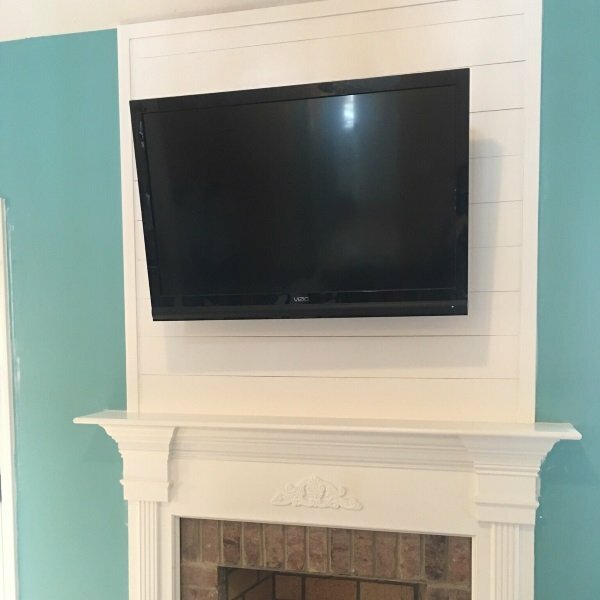 We added beaded paneling to the ends and custom molding on back. 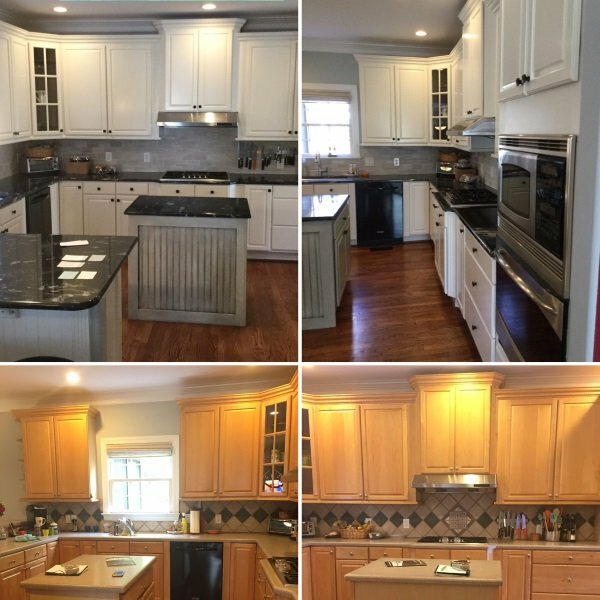 This customer wanted a clean white look on their wood stained cabinets. 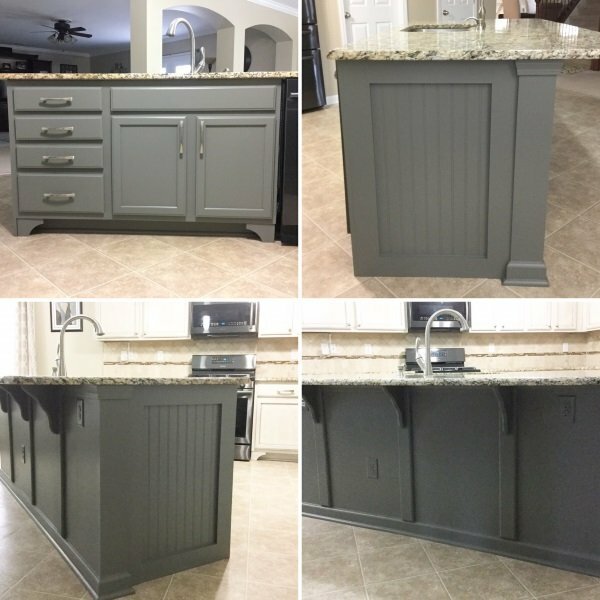 kitchen with glaze and dark island. 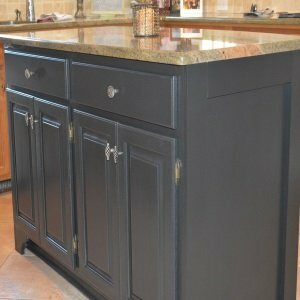 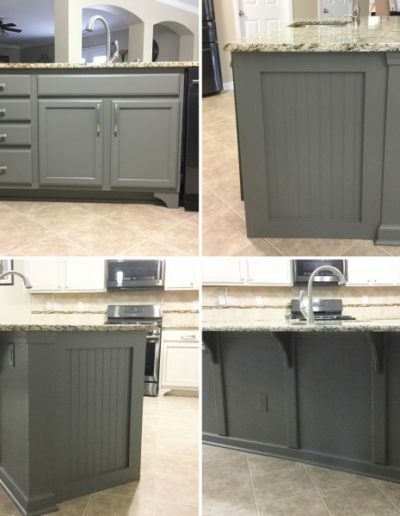 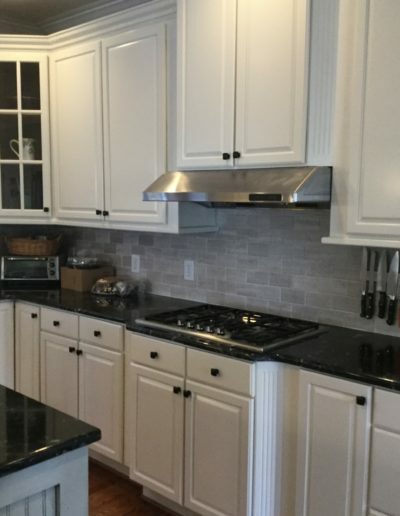 We did a glaze over these cabinets and painted the island a dark color. 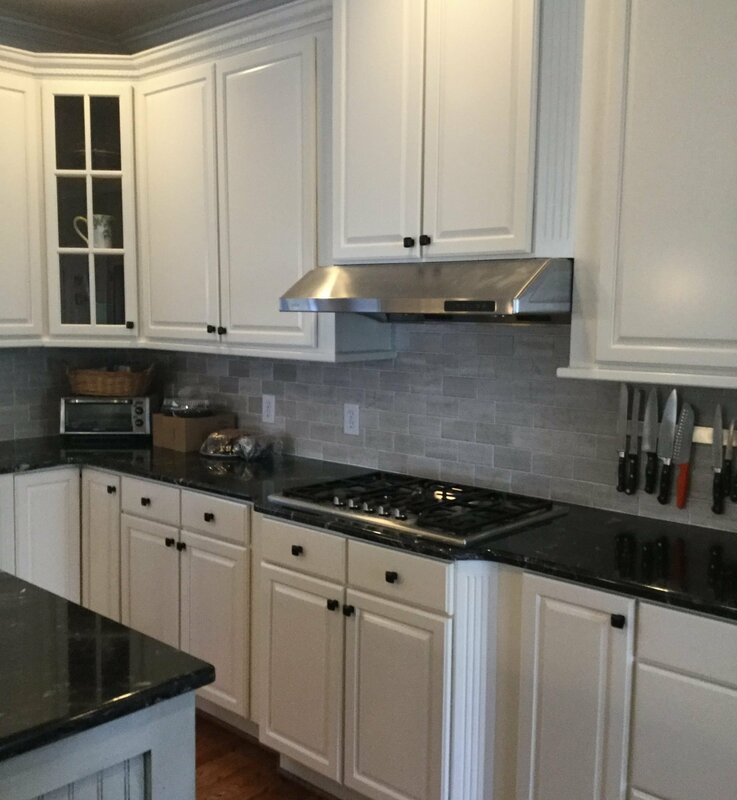 kitchen in white with end panels. 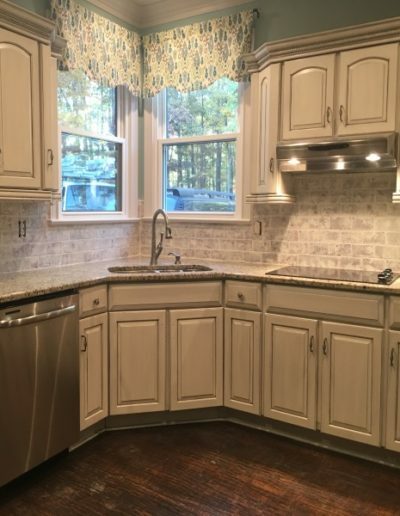 We painted this kitchen in white and added beaded paneling to the end caps as well as feet to the bottom. 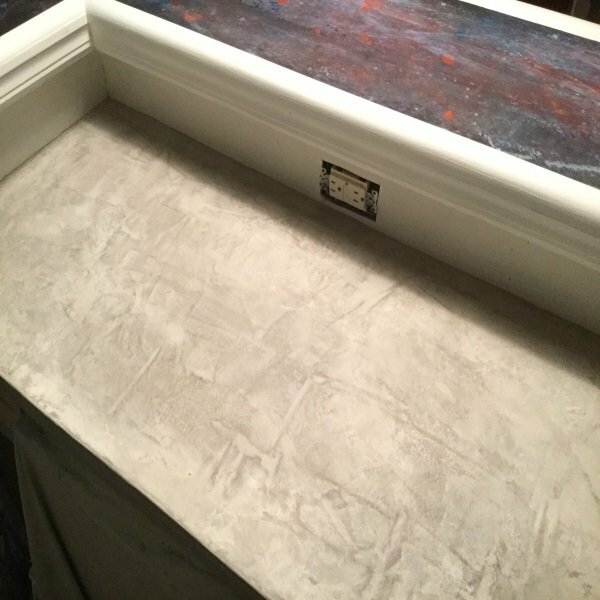 Painted Table with refinished top. 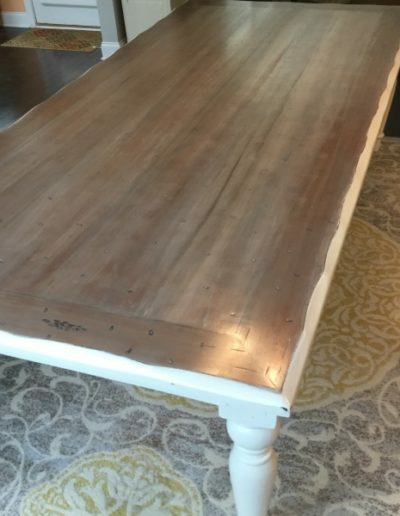 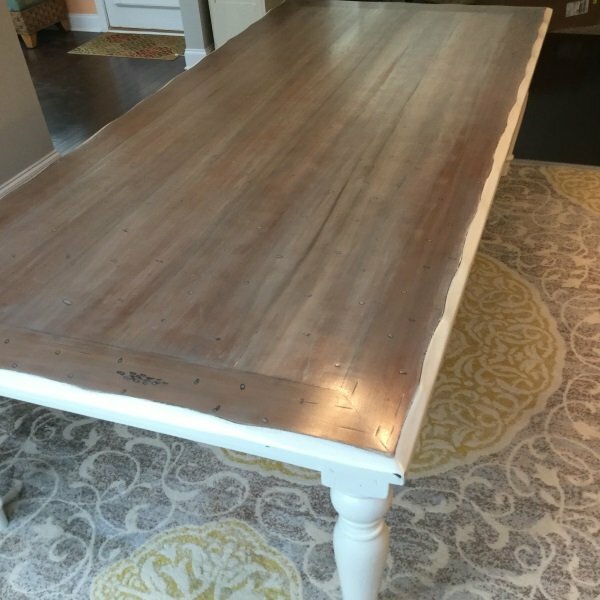 We stripped and refinished the top of the table and painted the bottom white with a little distressing. 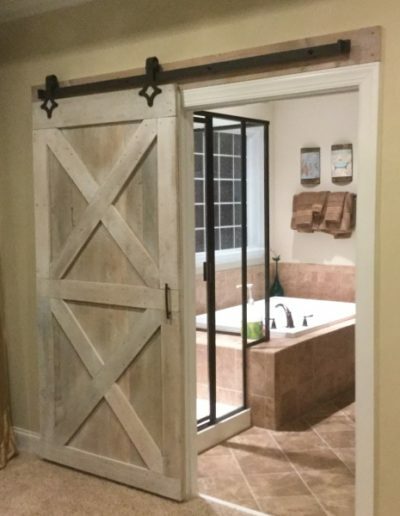 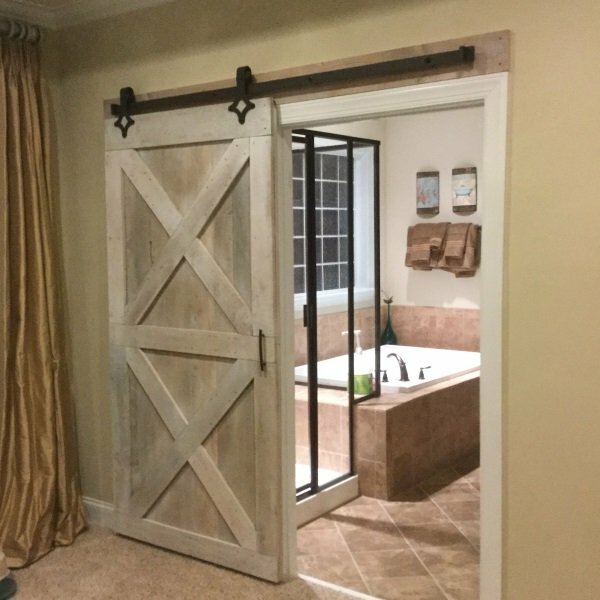 We white washed this barn door and installed track and hung the door. 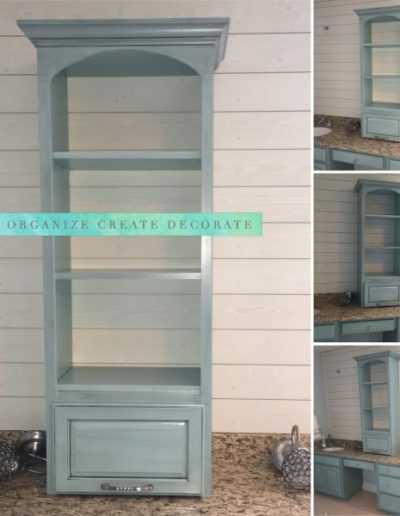 We built this custom shelf and painted and distressed it. 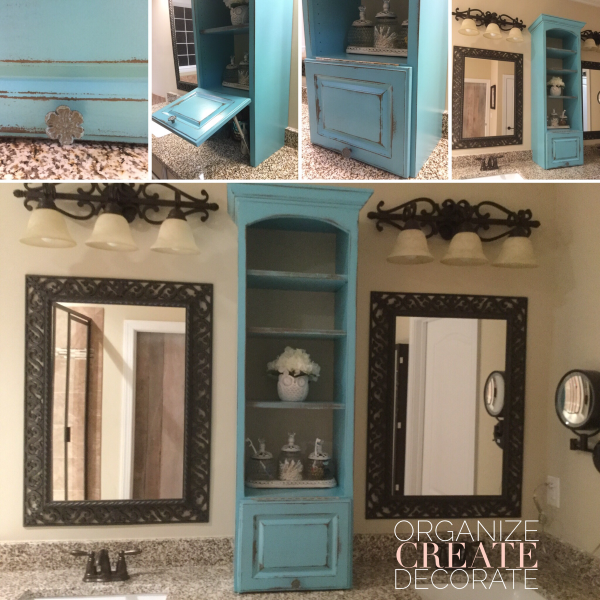 Customer removed the large mirror and added the smaller mirrors on each side. 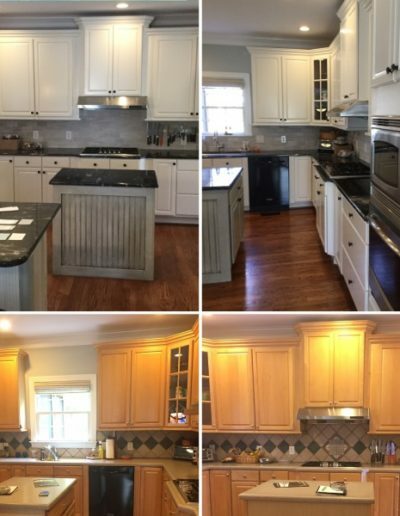 A before and after Kitchen. 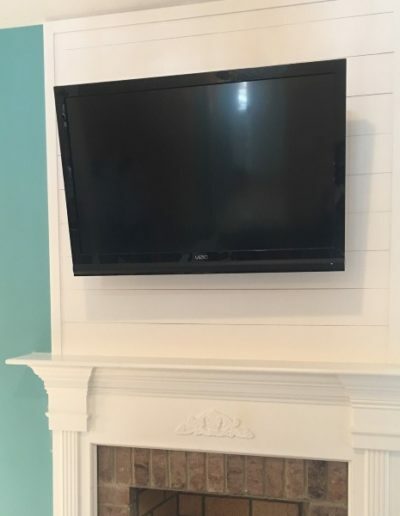 We added shiplap above the mantle. 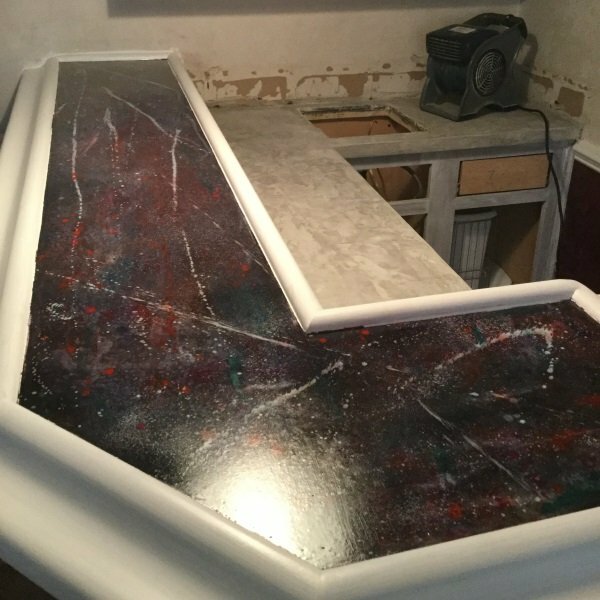 Counter top painted with Unicorn Spit. 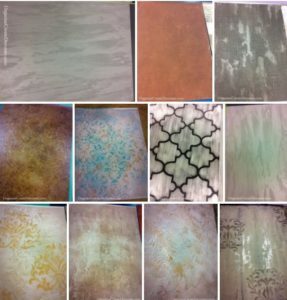 This customer wanted to experiment with some artsy colors and texture. 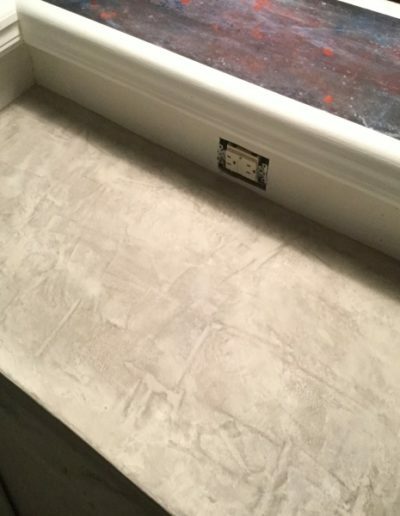 The product name is Unicorn Spit. 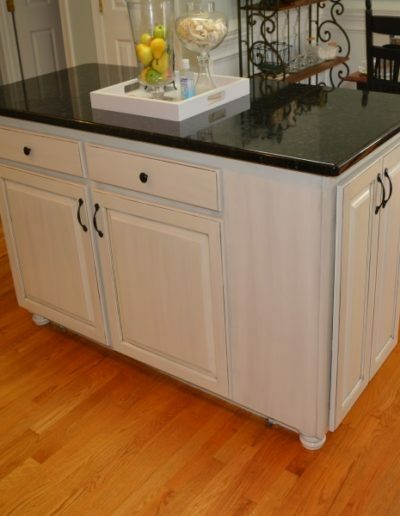 We painted and glazed this island and added the rounded feet. 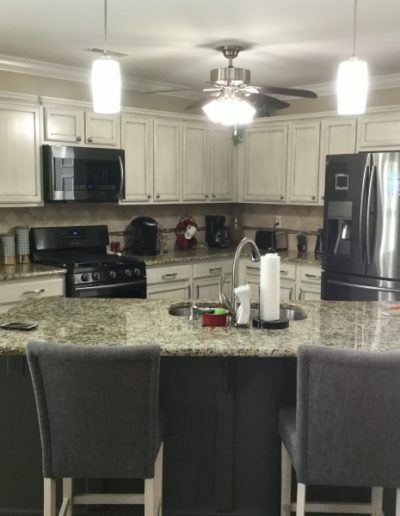 We painted this island a dark color and custom made the columns. 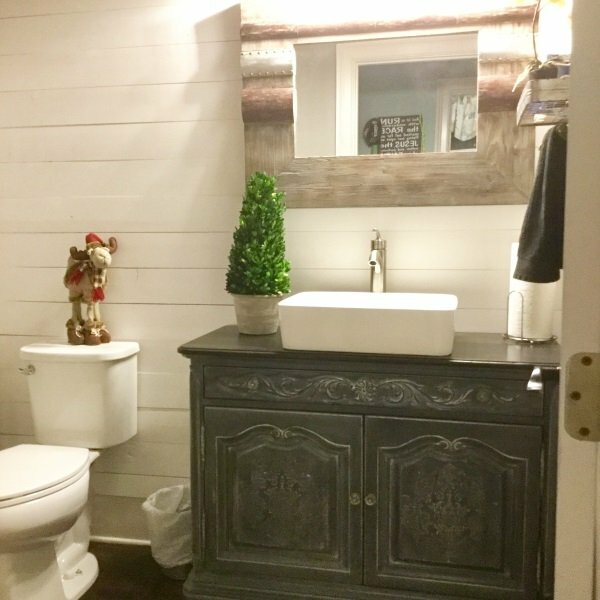 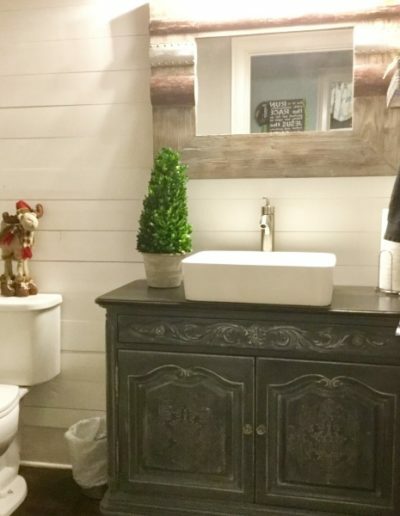 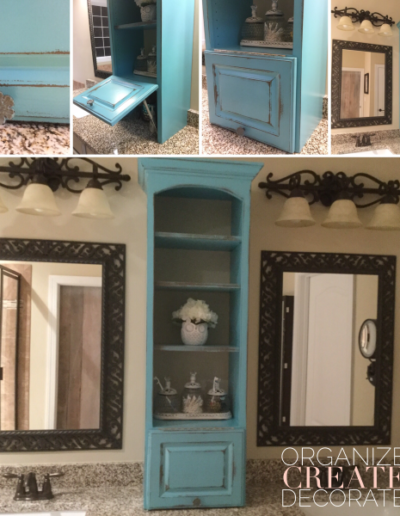 We transformed this old buffet into a working vanity. 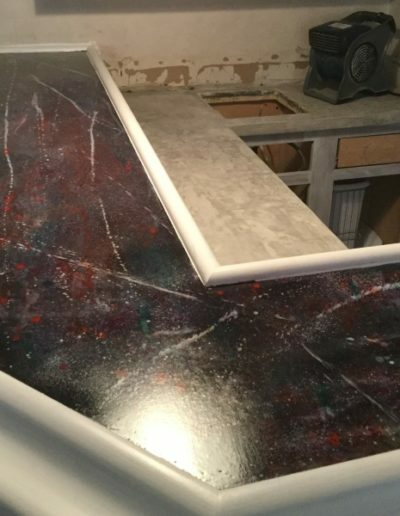 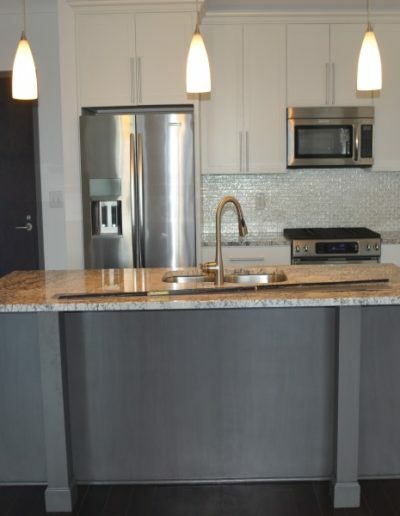 This is a skim coat of concrete that can be added to just about any type of existing counter.